British Boer War stamp produced by the Manchester Philatelic Society. 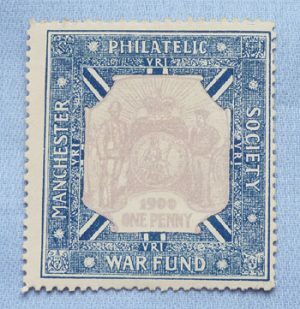 Original British Boer War stamp produced by the Manchester Philatelic Society for fundraising purposes. In mint, unused condition. Dimensions are 2 inches x 2 inches.